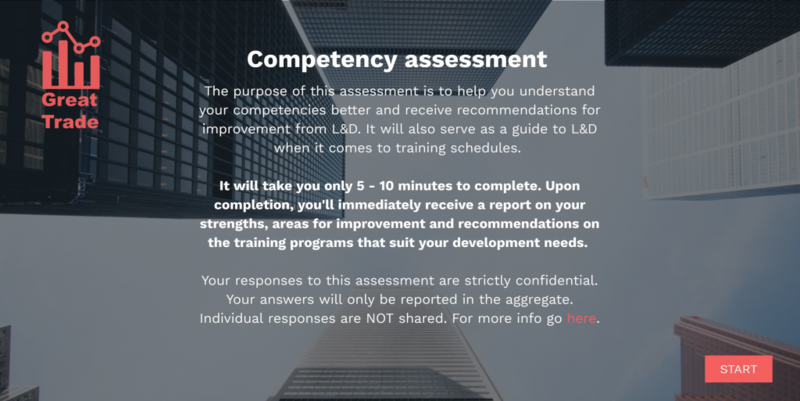 Writing a solid survey introduction is not a waste of time. You’ve created a survey and you need answers. Preferably without respondents going “NOPE” at seeing the word “survey” in their mailbox. It’s your one window to get in, create a feeling of sympathy and make people feel like “Mmkay, I want to help these guys out with my answers”. In fact, it’ll be the same trigger that pushes you to read this article or not. There are a few essentials that make up an irresistible survey introduction. We’ve collected all of them for you in a useful list and written up a good (copyable!) example of each approach. And one PERFECT template that combines them all. Based on what you want to ask and who, choose from the items below. Don’t write an endless introduction for the sake of being correct. Limit yourself to giving the essential information, and the trigger that your audience needs to take action. If I asked you a bunch of questions, you’d want to know why I’m asking and why I’m asking YOU specifically. Being clear and transparent about your purpose will help people see you as “someone they can help”. Simply state the reason for your survey and what you want to achieve with it, will persuade more people to complete it. Saying what your purpose is, helps people value your research. But actually showing what you do with your research, that’ll just draw them right in! If you have previous results you can refer to and tie this to how people can help you now. Privacy is tricky as it is. With people becoming more and more aware of the importance of their personal information, it’s necessary that you are up front. Always be clear about what you plan to do (or not do) with the collected information and you’ll ease respondents into answering more truthfully. Use this template: No! We don’t want to spam you in any way. So don’t worry, you will remain completely anonymous. Use this template: We appreciate you letting us know who you are. We don’t want to spam you in any way, the data we collect will be used only for this research. 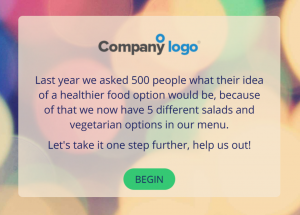 Use this template: If you want to be informed about the results of this survey and receive other news from [company name], enter your email here. This is THE most frequently asked question when people take a survey. Try to give your respondents a realistic estimate of the time it’ll take to answer your questionnaire. We both know that your 10 open-ended questions will not get answered if you promised that the survey would only take a minute. 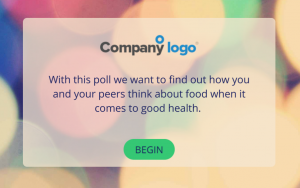 It’s up to you, not only to be honest about the duration, but also to make sure that you limit your survey to the essential questions and no more. Respondents can and will abandon you for this. When we send out surveys through email we will always write something along the lines of “This survey will only take 49 seconds of your time. Really! We timed it 😉 “. Use this template: We realize how precious your time is. 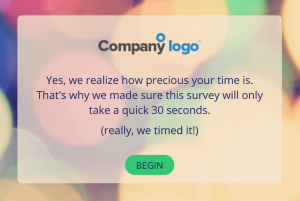 That’s why we made sure this survey will only take a quick [amount of time – preferably in seconds]. People want to win stuff. Winning does not necessarily mean a big prize. 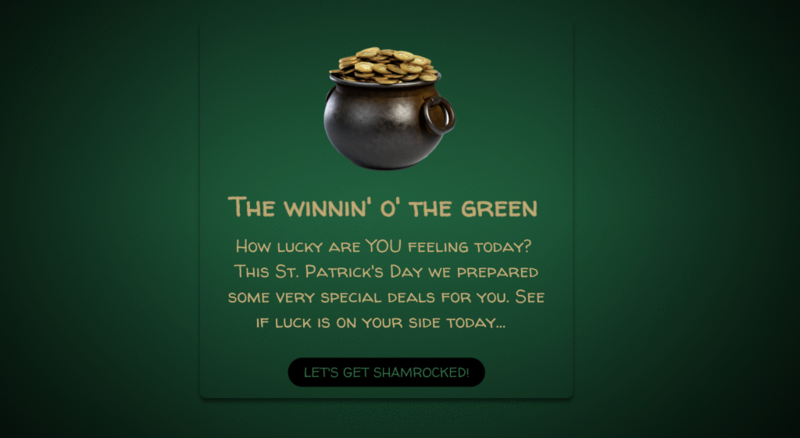 Incentives are the perfect and easiest way to boost your participation rates. (Aside from the introduction examples, make sure the incentive is relevant and useful. Even people who are initially uninterested can be won over with a well-chosen incentive. Add more power and a little tease by adding a picture or video of the incentive. Use this template: Think we were going to let you leave empty handed? 🙂 Take this survey and have a chance at WINNING our big prize [that you should specify here]! 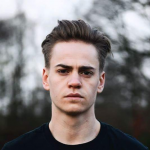 – What audience am I in? Of course, your survey will have a certain target audience. So when approaching potential respondents about a survey, make sure to inform them about this chosen target audience. Quickly let them know why you chose this segment and how your respondent fits in. It’ll increase their recognition of how they can help you personally. 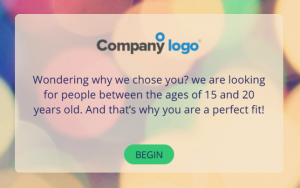 Use this template: Wondering why we chose you? We’re looking for [that which specifies your target audience]. And that’s why you’re a perfect fit! – Who am I answering these questions for? 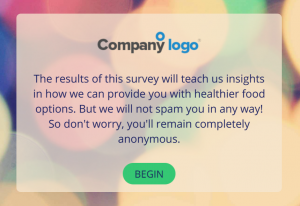 Knowing from which company the survey originates is another way of convincing your target audience. Give some basic information about yourself as participants will be more reluctant to share any data with an unknown company. Honesty: “You get what you give. What you put into things is what you get out of them.” – Jennifer Lopez. Thanks a lot. This will really help me. I should have read this in the past. I could have a great format. Thank you! One of the great article! Precise and Clear Information, Kudos!!! Thank you for taking the time to offer this guidance.